​The Autonomous Republic of Nakhchivan is an autonomous region within the territory of the Republic of Azerbaijan; this is based under the Azerbaijani constitution that was approved by a referendum in 1995. 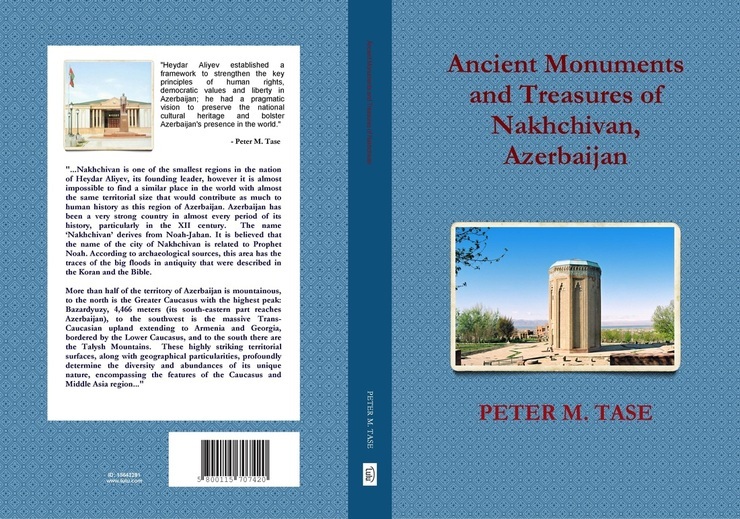 On the following pages in front of us are collection of articles, short essays and a wealth of information about the archaeological sites, architecture, culture and ancient history of Nakhchivan, written by Peter Tase. This book is a result of a passionate work that Peter Tase, as the author, has undertaken for over a year, with his research and publications that have appeared in the Foreign Policy News and Eurasia Review Journals. 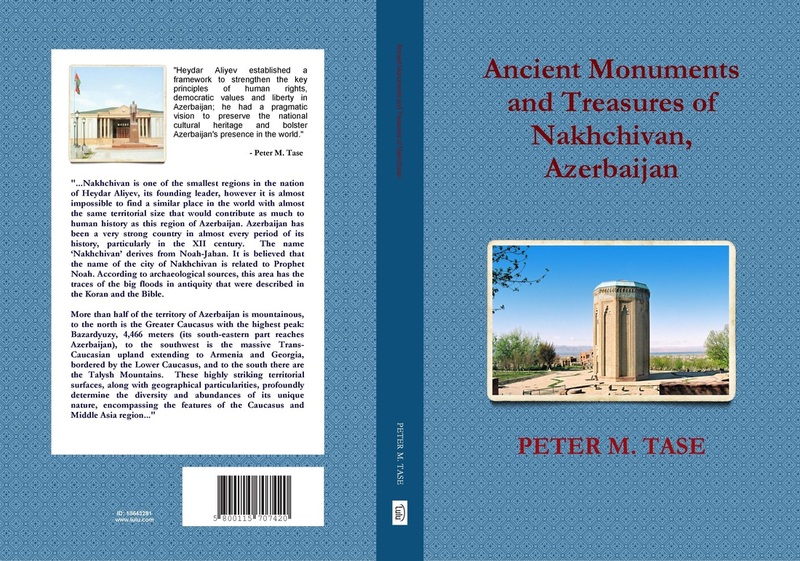 This is the first book volume about Nakhchivan that is published by my colleague in the United States, and I am confident that Peter Tase will continue to bring on the light of publication many other volumes that will further promote the tremendous wealth of history and culture that Nakhchivan embodies within the context of national history of Azerbaijan as well as its special characteristics that are a precious asset to the world’s history. According to the Encyclopedia of Nakhchivan Monuments, there are approximately 1143 cultural and archeological monuments that were certified by the competent authorities. In this volume the author provides a glimpse of archeological wealth that visitors can find throughout Nakhchivan. The author wants to bring Nakhchivan at the center of the world’s attention while promoting the history of Azerbaijan’s cradle of ancient history and archeology, including the decade long administration of Mahammad Jahan Pahlavan, the leader of Azerbaijan (1175-1186), during this period, Nakhchivan was a principle economic, political and cultural center of Azerbaijan, it garnered an international reputation under the period of Atabaylar-Eldanizlar rule. The Encyclopedia of Nakhchivan Monuments has served as the main source of reference, research and information for the publication of all articles that are assembled in this volume.